In a surprise announcement at the its P30 launch, Huawei shared today that it’s working on a line of smart glasses. Huawei has partnered with popular South Korean eyewear maker Gentle Monster for the new wearable. Huawei didn’t share an official name for the smart glasses, but said they’ll launch sometime this summer. Gentle Monster CEO Hankook Kim said his company’s aim was to make its first foray into smart glasses as fashionable as possible. 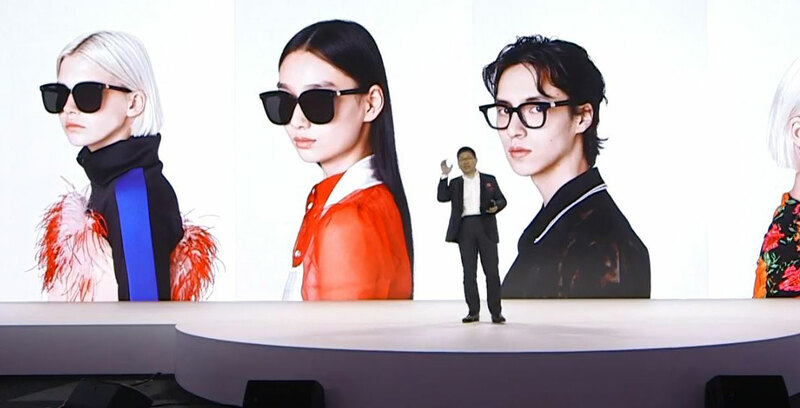 To that end, Huawei and Gentle Monster plan to offer the wearable in a variety of styles, from modern chic to standard sunglasses. The glasses feature no pins or buttons and are IP67 water and dust resistance. Each arm features a charging module, mono speaker, microphone and antenna. Additionally, the glasses feature an AI noise reduction algorithm to limit ambient noise. Notably, unlike Snapchat’s Spectacles, Huawei’s smart glasses do not feature cameras. Tapping the frame of the glasses, users can answer voice calls. There is also some sort of onboard voice assistant, though it doesn’t sound like Google Assistant. The smart glasses also will also include a 2,200mAh capacity charging case with wireless charging and USB-C port. It’s likely Huawei will unveil more about the smart glasses in the coming months.